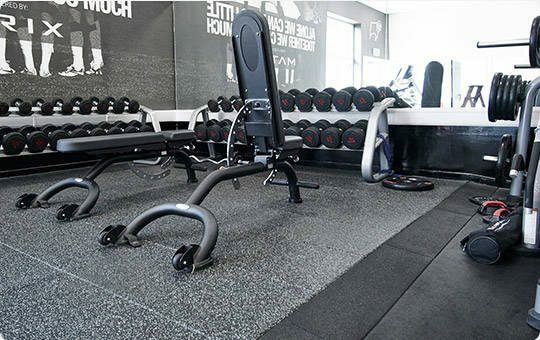 offering a wide variety of free weight flooring solutions for the sports and leisure industry. 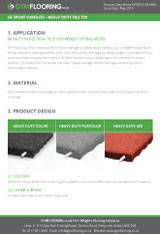 GF Heavy Duty Tile is an extremely durable heavy duty acoustically sound flooring product. We recommend that this 30 or 40mm thick tile should be used where durability and acoustics are important. This typically means that this product is perfect for free weight areas where heavy bar weights are dropped from height, or for free weight areas where a gym is above the ground floor in a commercial building. Ramp edges are available for this product which allows a neat finish to your designated free weights area.